The 38th summit approaches amid the backdrop of a six-month blockade on Qatar imposed by Saudi Arabia, Bahrain, the United Arab Emirates and Egypt, who have accused Doha of supporting and funding “terrorism”. Qatar has vehemently denied the allegations. While this year’s summit has been marred by questions on whether or not it would go ahead, GCC Secretary-General Abdullatif bin Rashid Al-Zayani has arrived in Kuwait and met Kuwaiti Emir Sheikh Sabah Al Ahmed Al Sabah to discuss preparations. The agenda of this year’s summit has not been made public, but there are expectations that the crisis will be at the forefront of discussions. “There is serious concern [about] the continuity of the crisis and its impact even on the blockading countries,” said Mahjoob Zweiri, an associate professor at Qatar University with expertise on Gulf politics, adding that questions will be asked on how long the crisis will last. Zweiri said that the desire to find a solution is emerging because of the fact that “nothing has been achieved”. “Qatar has rejected the demands put forth by the Arab quartet, who have also not achieved anything and are losing economically,” he said. “The alliance must bomb the machine of terrorism … the channel of ISIL, al-Qaeda and the al-Nusra front, Al Jazeera the terrorists,” Khalfan tweeted. UAE Minister of State for Foreign Affairs Anwar Gargash also used Twitter to accuseQatar of playing a role in an attempt to “save” the Houthi militias in Yemen, at the same time as the alliance between the armed group and former Yemeni President Ali Abdullah Saleh has deteriorated into clashes. Qatar’s foreign affairs media director, Ahmed bin Saeed al-Rumaihi, rejected the claim, saying that “it is unprecedented for an official source to declare something baseless and rooted in flimsy allegations”. “If there is a desire or a good will for reconciliation, one of the things that should be stopped immediately is the war of media,” Zweiri said. “The Arab Spring only stressed those diverse approaches to regional and internal threats, making very difficult for the members to agree on what was considered a priority in terms of threats and challenges and how to tackle them,” he said, referencing the Yemen war, the Bahrain crisis and Syria’s ongoing civil war. This has shed light on Saudi Arabia’s dominant role within the GCC. 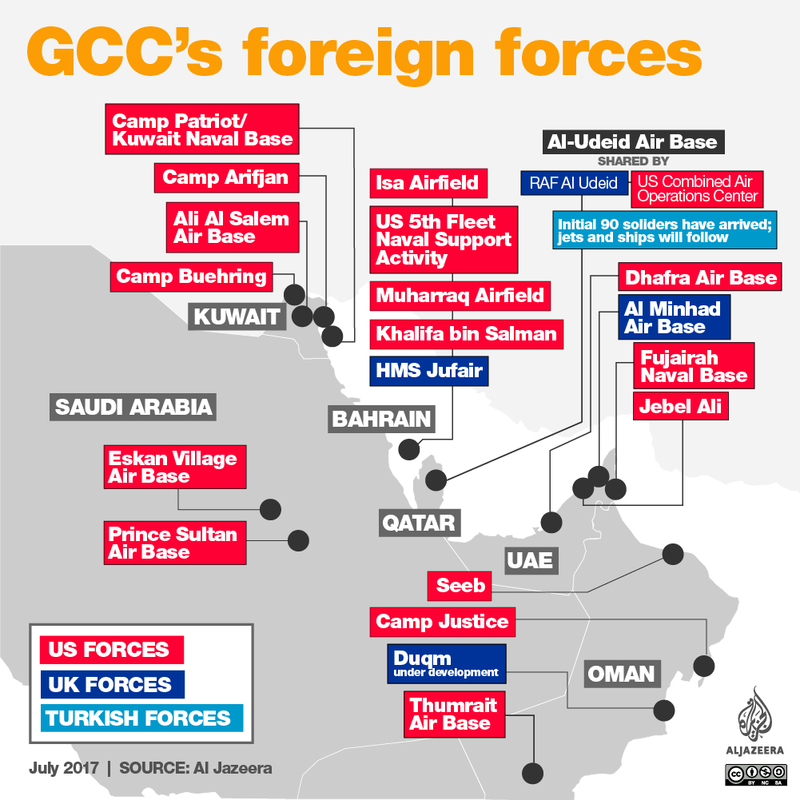 In 2014, a rift between the GCC countries lasted eight months when Saudi Arabia, the UAE and Bahrain suspended ties with Doha over Qatar’s support for the Muslim Brotherhood – a group the blockading countries labelled as a “terrorist organisation”. Doha was accused of breaching the 2013 GCC security agreement and of harbouring “hostile media”, a reference to the Doha-based Al Jazeera network. By then, Zaccara says, it was made clear that there was “one state, Saudi Arabia”, that was determined to “impose its criteria” on the rest of the council’s states. Referencing the current and ongoing crisis, Zaccara says that the rift has demonstrated the council’s futility in determining what its priorities are, and how it tackles its challenges as a unit. “That would be seen as provocative and would worsen a delicate situation. However, it is worth considering whether the council exists beyond a name any more,” Mitchell told Al Jazeera. Since its creation, the council has largely functioned as a “protection mechanism for the rulers against internal threats, largely by banding together on a conservative path led by Saudi Arabia,” she added. “The lessening of Saudi influence over Qatari domestic politics and society is an opportunity for the Qatari leadership to move forward on several important issues. We have already seen this movement in the permanent residency law, in increased protections for workers, and most recently with the appointment of four women to the Shura Council and a promise of legislative elections soon,” she said. Following the war in Yemen, where a Saudi-led coalition of mostly Arab Sunni states launched an offensive against Iranian-backed Houthi rebels, Oman was on the brink of being expelled from the council for not adhering to Saudi Arabia’s geopolitical agenda. “It is clear to me that as far as the GCC is not following the priorities set by Saudi Arabia, and to some extent the UAE … there is no way the council would be effective if Qatar, and maybe Oman as well, are outside the council,” Zaccara told Al Jazeera. “A GCC with five, four or even three states will just be an extension of Saudi policies,” he added. “In this context, the GCC has proven its uselessness,” Zaccara said. He believes that the crisis, if prolonged, will not heavily affect Qatar’s economy. But Qatar cannot “afford being blockaded forever,” Zaccara added. “Even though the country [Qatar] is facing the crisis very well, the blockade cannot be sustained permanently by the four states without harming their own economies as well,” he said. Qatar restores ambassador to Iran amid regional crisis. Have Saudi and the UAE’s aims in Yemen war shifted?